It's that time once again, as we have the full details of this week's Nintendo Download offerings in North America. This week brings us retro delights and new games on both the Wii U and 3DS, along with more DSiWare to keep the old portable going. Let's get to it. Want to know what arrives in Europe today? Don't worry, the details await right here. Squids Odyssey (The Game Bakers, $14.99 / $14.99CAD) — A tactical RPG originally released in two parts on PC and smart device platforms, this colourful title arrives on Wii U incorporating content from both releases and including updated controls. We described it as "a mix between Angry Birds, billiards, and a strategy RPG" while giving it a strong recommendation in our Squids Odyssey review. 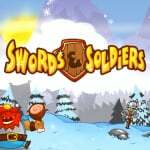 Swords & Soldiers (Two Tribes, $2.99 / $2.99CAD) — This is a HD remake of the popular WiiWare title, which features optional touch screen controls and multiplayer where each player uses their own screen. This is a port done well, albeit without the DLC of other versions, and we said it was well worth consideration in our Swords & Soldiers review. 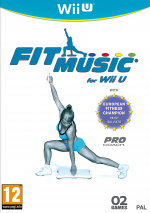 Fit Music (O2 Games, $14.90 / $16.90CAD) — This title attempts to blend dance gameplay with fitness routines, and we'll put ourselves through some exercise to bring you a review. Street Fighter Alpha 2 (Capcom, $7.99 / $7.99CAD) — Although the original never arrived on Nintendo hardware, this sequel brought a taste of the arcade action to the Super NES. A spin-off from the core franchise, this utilises custom combos along with some fresh characters and a different art style; we'll brawl with this one again, but in the meantime you can check out the positive words in our Wii Virtual Console Street Fighter Alpha 2 review. Turtle Tale (Saturnine Games, $2.99 / $2.99CAD) — Also coming to the Wii U eShop relatively soon, this equips the turtle in question with a water gun and some platforming abilities. This has colourful visuals and tight controls, though we feel that design flaws hold the experience back; you can check out our full assessment in the recently published Turtle Tale review. Alien on the Run (G-Style, $3.99 / $3.40CAD) — This looks like a fairly high-paced title in which, unsurprisingly, your goal is to escape a range of dangerous levels. There are portals, 'fever action' poses and some fairly wacky goings-on that we can see, so we'll try to make sense of it all in a review. 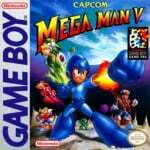 Mega Man V (Capcom, $2.99 / $3.99CAD) — Mega May continues with another Game Boy title, in which our hero suffers a crushing early defeat before returning with the Mega Arm to save the world. It sure sounds like a hoot and has much to live up to with its Game Boy predecessor, so we'll bring you a review soon. Lost Treasures of Alexandria (Tulip Games, 800 Nintendo Points) — If you feel that your life is missing another Match-3 game on DSiWare, this could be an option due to its attempts to freshen up the genre. It's not perfect, but we had some positive things to say in our Lost Treasures of Alexandria review. Plenty of choices this week in North America. Let us know what you're planning to pick up in the poll and comments below. I'll probably get Street Fighter Alpha 2. Woohoo! My 3DS gets back today, and I'll be downloading Mega Man V with a deluxe digital promo code! I can't wait for Xtreme 2 next week! @Philip_J_Reed Looking forward to your review! Where is Super Mario Kart? You'd think Nintendo would want to release it on VC to promote MK8. I'm from the UK so I already have SMK on VC but this is getting as ridiculous as the SMB3 delay! I wish Capcom's retail support was as good as their VC support. They could probably fund another Viewtiful Joe with all the Megaman and Street Fighter VC money! I'll try the Alien on the Run demo since I'm broke this week. Well, I was hoping for Super Mario Kart to build on the already substantial hype for Mario Kart 8. Alpha 2 is a pretty good choice too. Oh, totally Fit Music. It's been my most hyped game for 2014. I'm getting Mega Man V and that Squids Odyssey game looks interesting though I'll probably wait for it to go on sale, I'm saving my eshop money for Shovel Knight which should be out soon. Nothing. Don't expect anything good on the eshop now until e3. I was hoping for half off on Aeternoblade, but I'll probably bite at $10. with all that's left in nintendo's library alone you'd think they could keep up wiiU VC releases for more than a couple weeks. Capcom seems like the only people that actually care about the VC. Mega Man V!! It's the only non-recycled Gameboy Mega Man game! I sure hope Capcom makes good on their promise of Mega Man Battle Network 3 soon. I don't expect to see it during the last week of "Mega May", but hey, you never know! Mega Man V. I have been waiting for years to play this game. Street Fighter Alpha 2 was one of my favorite games on Playstation and one of my favorite Street Fighter games. Easy sale. Street Fighter Alpha 2 is certainly a surprise; of all the Capcom titles to give the Wii U treatment, I wouldn't have guessed that one. Although SFA2 is my favorite Street Fighter game--and I appreciated the SNES port back in the day--it's hard to justify purchasing its worst port in 2014. I might pick up Megaman V sooner rather than later. Every time I see a GB release that was once promoted as a Super Game Boy experience, though, I wish the 3DS ports could have implemented a little workaround to include the Super Game Boy palette. I've never played V in black and white; the experience would feel a little foreign to me, like something's missing. Another disappointing week, wish we could see more than 1 VC game a week per system. Especially with such large catalogues to dig into. Also lack of GBA VC games is disheartening. The same games just go on sale and off sale, on sale and off sale every week. I miss the Virtual Console sales they used to have. Nothing for me this week, as I'm saving my money for the download version of Mario Kart 8 next week, as well as the Star Pack DLC for Mario Golf World Tour. Well, Just read the review on Sword and Soldiers and I'll think I'll get. Can't really argue with that price point. Plus since Summer Vacation starts today so I'll have plenty of time to play it. Definitely Mega Man V! I agree with @dougphisig though, the lack of GBA VC is dumb. I will never understand why Nintendo only wants to offer 1 game a week and doesn't even bother to give something that wasn't already available on the Wii. Sigh, well, at least it's one more game out of the way. Come on, E3. We need ya. @Stu13 I enjoyed the demo, but 10 still seems a little steep for me. Enjoy though! Mega Man V is a must-download for me. I remember it being a great, great game, especially if you loved the previous Game Boy titles. 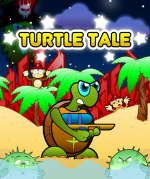 I'm also going to try out Turtle Tale. For what seems to be platforming at 3 bucks? I'll support! Squids Odyssey looks interesting but $15 for what is essentially an smartphone game revamp is absurd. Two weeks in a row where almost half said nothing. "Although the original never arrived on Nintendo hardware, this sequel brought a taste of the arcade action to the Super NES"
The original is on GBC. Mega Man V and Aeternoblade for me. Mega Man V, here I come! I can't believe all the people hating this week. This is an exceptional week even if none of these games satisfy your own personal taste. @brandonbwii Yeah, I remember weeks where there were something like one or two games TOTAL on both machines and not a single VC game. I understand that not every game is everyone's cup of tea, but I can't see how this week could be weak, no matter what the tastes are. To me, this week in US is OK at least. Not that it matters to me as I'm from EU, but still. Minish Cap announcement and Mario Kart 8 are the only important things to me this week. Finally, the best Mega Man GB game!! I said I would get Rails last week and I want to get Swords this week but with two full retail Wii U games coming my way next Friday, I'm now thinking about waiting to pick them both up. I can't play the games I have, no need to purchase more. 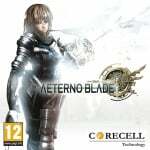 Aw yeah, Aeternoblade discount, just what I was waiting for. I'll also be nabbing Nabbit while I'm at it. @Grumblevolcano Awesome find! Looking forward to picking that up since I have never played it. Never played Swords & Soldiers. Might as well pick up this version! Get equipped with Mega Man V! I've thoroughly enjoyed Mega May so far, and gotten MM II-V! It's been nice to play the remaining Game Boy MMs (even the abomination that is MM II ). I'd like to think that it's a sign of Capcom considering a new MM game after all these years. However, this is 2014 Capcom we're talking about, and I have low expectations. I appreciate their VC support, however. There would've been your typical VC drought without them! Anyone else think there's a chance Mega May is a clue for a new Mega Man forthcoming? "Although the original never arrived on Nintendo hardware, this sequel brought a taste of the arcade action to the Super NES." Small mistake. The first STreet Fighter Alpha was released in a Nintendo platform, the Game Boy Color, to the surprise of the few who played it. Even more, considering that Capcom is one of the few companies releasing third party games on the 3DS virtual console, I wouldn't be surprised if we saw that particular Alpha port again the coming months. @Yomerodes The Alpha series sure has an odd history with Nintendo, with Alpha 3 showing up on the GBA. These three ports were among the worst compared with their counterparts on other systems, and yet, in a weird way, they were more a labor of love; while other ports took the source material and trimmed/tweaked as needed, these three games took the most effort to "rebuild" in order to work on their hardware. Of course, the results pale in comparison to the ports more closely derived from the arcade originals, but it's nice, if a bit curious (in Alpha 3's case in particular), that they tried. Aside from the Virtual Console version, the Alpha series didn't show up at all on any last generation's console. The PS2 compilation didn't leave much room for further perfection, but with that out of reach for many of today's consumers, it'd be nice to see it revived. I'm not mad at Nintendo Life or anything but Mega Man V is actually 3.99. WTF Capcom seriously? All the other GBA Mega man games are 2.99 but V is 3.99????!!! Got Swords & Soldiers and Mega Man V, but voted for the former. 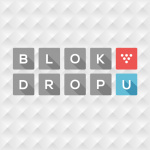 Anyone without Blok Drop U, go grab it! It's $1.50 and the patch is out, so that's a real deal. Alien on the Run is a gem of an eShop release! I was definitely sold on its quirky gameplay after trying out the demo! @brandonbwii: Oh they'll hate forever. Nintendo could have 10 VC titles released the same week and folks would still complain. I've actually run into a situation where there's too much available and I don't have the time to play. Megaman V for only $2.99? YES!!!! Oh, Nintendo... please consider releasing more than one VC title per system each week. You've done it before. April started with 3 GBA titles. 3! Some nice choices this week, though, in general. A little something for almost everyone. I'll be getting Mega Man V and I'm curious about Sword & Soldiers. I had Street Fighter Alpha 2 for the SNES and didn't like it that much unfortunately. I can't waitt to get Mega Man 3-5 tonight. Not sure if I'll buy SFA2 considering I have it for both PS3 and as part of SF Alpha Anthology, but I'm just glad we're getting SNES games again! The last release was way back in January. All that shovelware that is constantly on sale ... makes me sad. Sword and soldier's only for me this week cause of the price and it's an amazing game. Mm V! I'm interested in Turtle Tale so I'll check out the review first and download the Alien demo too. G-Style has some pretty good games in the e-shop already. If it offers any consolation, you can get Mario Kart 64 for free on Club Nintendo right now, provided you have enough coins. What, no option for the Mario AR photo app? I thought you were going to say TMNT when I read Turtles. probally just darts up 3d for $.99. Effectivly iOS/Droid prices on 3DS woop! EU week was exceptional too. I'd actually prefer Klonoa over SF2A actually (although I'm getting that too, too many games to play). We need some Domo games for 3ds. Got S Words and Soldiers downloaded and waiting for me! i'm getting one of the atlus games that are on sale for 14.99....that's just too good of a price to pass up for soul hackers, overclocked and code of princess. just not sure which one to get.